Around the farm, up at the cabin or on the water, we know how important it is to have your pooch along for the ride. That is why UWS offers high-quality dog boxes for your truck, giving you a safe, secure, comfortable way to transport your canine companions. We offer dog boxes in northern and southern styles to accommodate any region, and each is built with extra-thick aluminum construction and stainless steel handles. We also offer integrated storage options to allow you to pack your dog accessories and other gear. 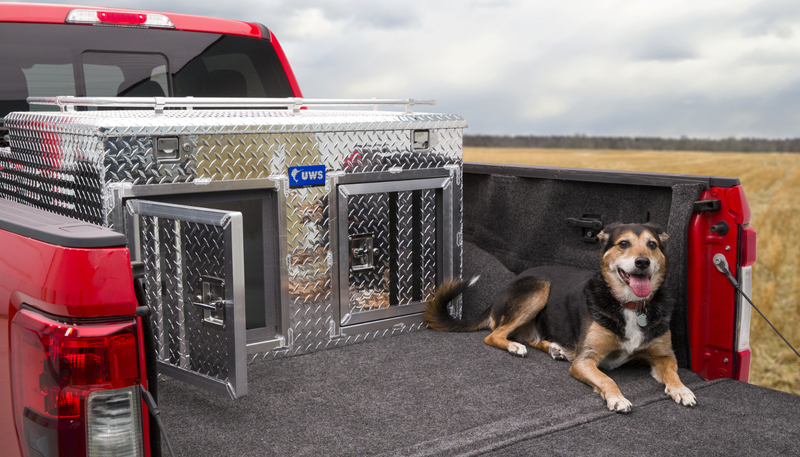 Depending on where you hail from, you may need a truck dog box designed to keep your pup warmer or cooler. At UWS, we can accommodate both. Our northern dog box is built for colder regions, featuring a more complete enclosure to keep the wind and snow out and your dogs more comfortable. We also offer southern-style dog boxes that have more space between the rungs, allowing for increased airflow. This helps keep your canine cooler on those hot summer days. 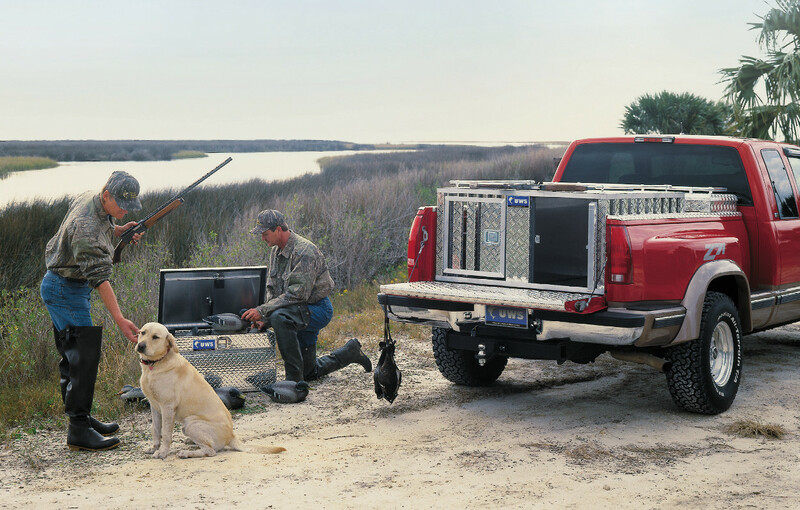 The southern style is available to fit one or two dogs. Both our northern and southern dog boxes are built for maximum rigidity and strength to keep your pooch safe and secure. They are constructed from extra-thick 0.058” aluminum. This not only adds structural integrity to the dog box, but it also helps maintain a lightweight design and keeps the box highly resistant to corrosion. 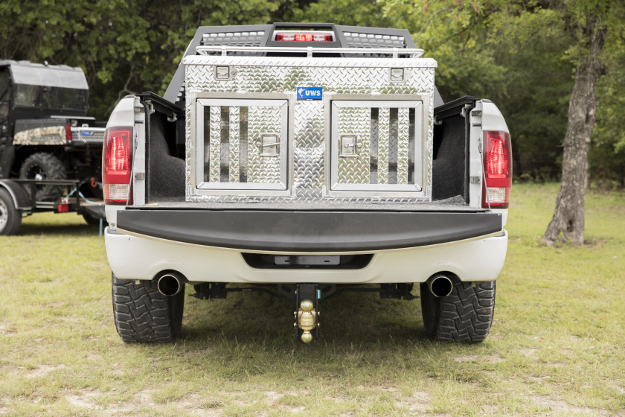 UWS truck dog boxes are also equipped with key-operated stainless steel T-handles. These handles provide excellent security for your pups, while offering long-lasting durability in spite of the elements. For additional storage, we also offer an accessory box that is designed to integrate with our dog boxes. It measures roughly 32” x 35” x 6” and can be used to hold tracking collars, training dummies, treats or other small items. It features our patented RigidCore™ foam-filled lid and a stainless steel locking latch. 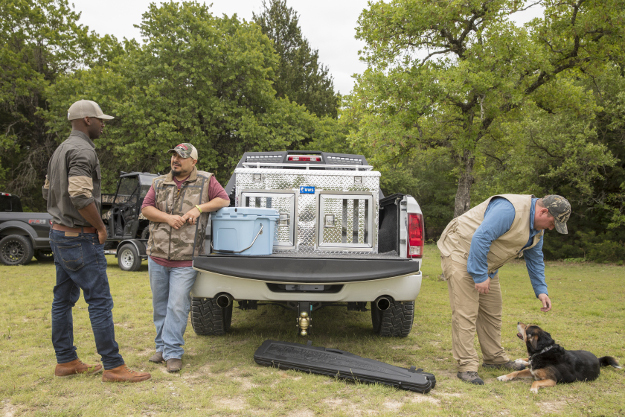 The UWS northern dog box not only has an integrated top rail for storing additional items, but it also comes with a built-in utility chest compartment. The top portion of the dog box opens up and provides a large, secure storage space for tools, supplies or equipment. 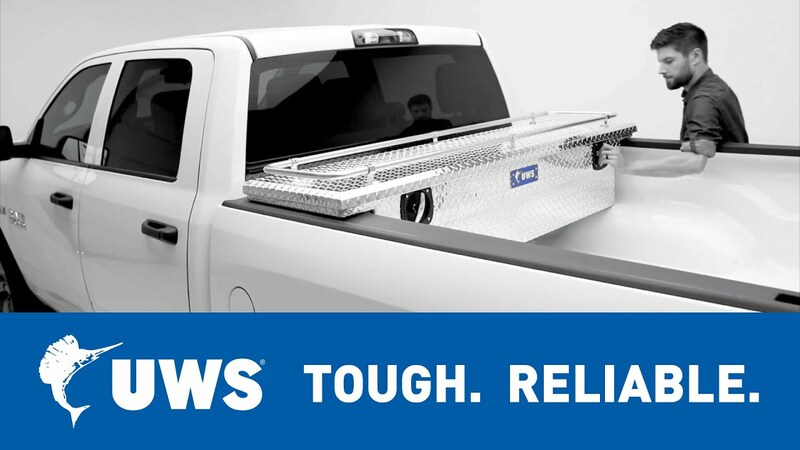 The built-in tool box features our patented RigidCore™ lid for enhanced strength, two stainless steel locking latches for dependable security and self-opening struts for easy, one-handed operation.